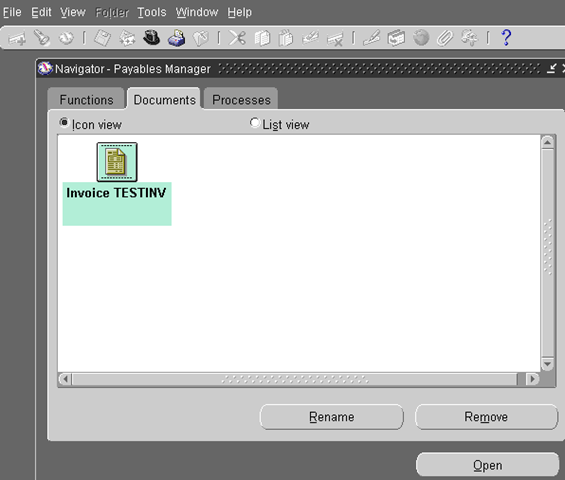 The top ten is saved to the FND_USER_DESKTOP_OBJECTS table. The table is read from at sign on. It is updated from the API function FND_SIGNON.UPDATE_NAVIGATOR when the user logs out. 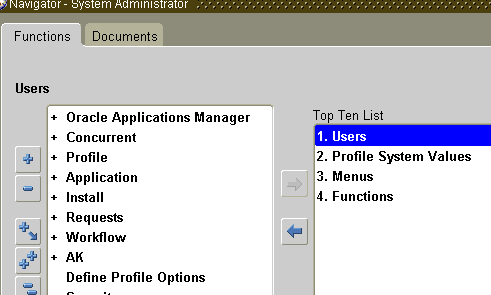 The system profile value "Attachment File Directory", points to the directory on the Forms Server where the attachment files are stored. This procedure sets up global variables and profile values in a database session. Call this procedure to initialize the global security context for a database session. 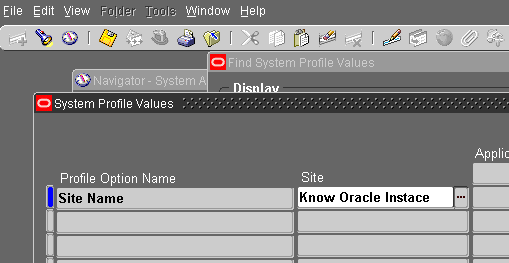 You can use it for routines such as PL/SQL or other programs that are not integrated with either the Oracle Applications concurrent processing facility or Oracle Forms (both of which already do a similar initialization for a database session). 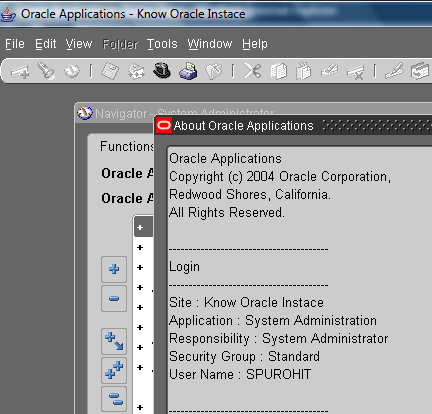 The typical use for this routine would be as part of the logic for launching a separate non–Forms session from an established Oracle Applications form session. You can also use this procedure to set up a database session for manually testing application code using SQL*Plus. This routine should only be used when the session must be established outside of a normal form or concurrent program connection. USER_ID – The User ID number. RESP_ID – The ID number of the responsibility. RESP_APPL_ID – The ID number of the application to which the responsibility belongs. SECURITY_GROUP_ID – The ID number of the security group. This argument is automatically defaulted by the API. The caller should not pass a value for it. Many a time you want to change the Main window’s heading to show purpose of instance or any special info etc….